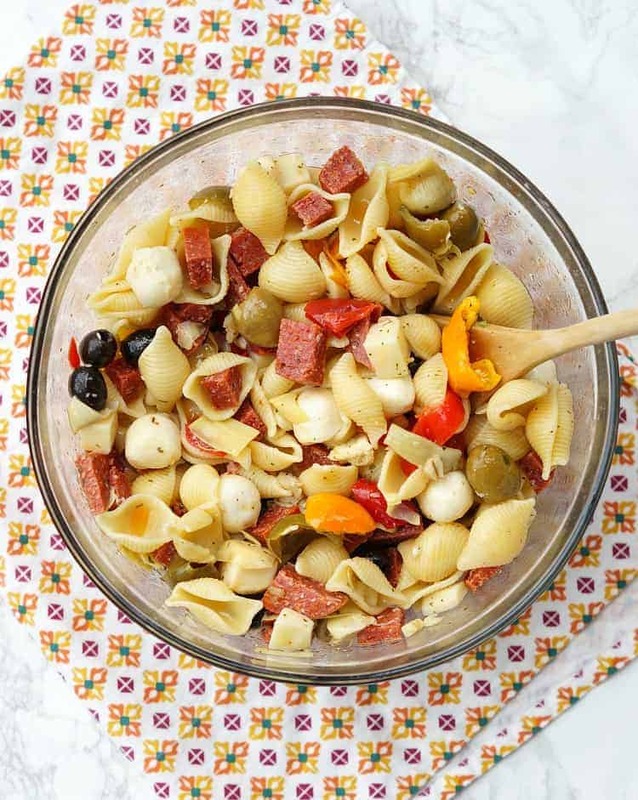 Antipasto Pasta Salad is like an oxymoron right? The whole point of an antipasto is that it’s anti-pasta! But you know what makes everything better…pasta!! I am the self-proclaimed queen of pasta salad and have some amazing ones on my site! Every summer, once bbq season rolls around, I start brainstorming all the new flavors that I can incorporate into a pasta salad! 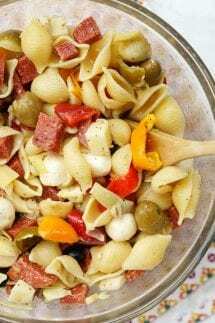 Some of my pasta salad recipes are super easy, some are a little more involved, but I have to say that this Antipasto version may be the easiest of them all! Looking for some other delicious summer side dishes? Want to know my time saving secret? The salad bar at your local grocery store! Almost all stores have a salad or antipasto bar in their prepared foods section. 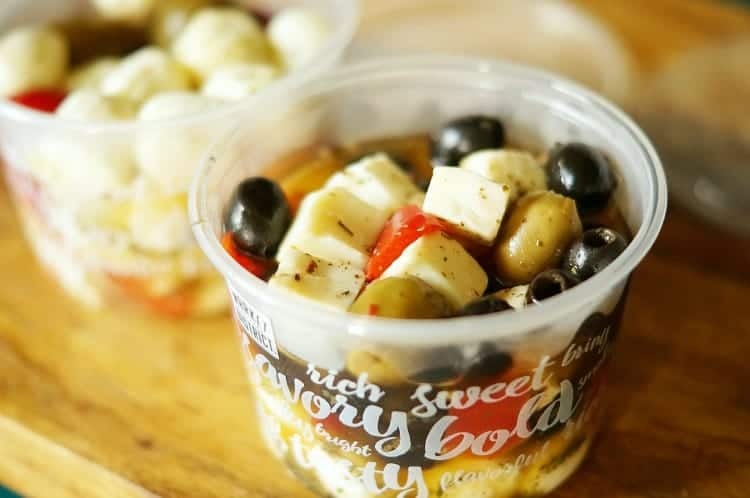 Ours has an amazing selection of marinated cheeses, olives, peppers, and all kinds of things! I fill a few containers with lots of goodness from the antipasto bar and make sure I scoop up lots of the marinade, too! I use the marinade as the pasta salad dressing, which saves even more time! Honestly, all you have to do for this recipe is to boil the pasta! You can customize this easy pasta salad recipe to whatever your store has. I used a mixture of marinated mozzarella cheese, a pepper and mozzarella mixture, and marinated green and black olives. I also grabbed some cubed marinated sandwich pepperoni from the bar. You add all that to a bowl, add your slightly cooled pasta on top, and then just stir really well. Right before serving, I add a little salt, pepper, and garlic powder and then serve! 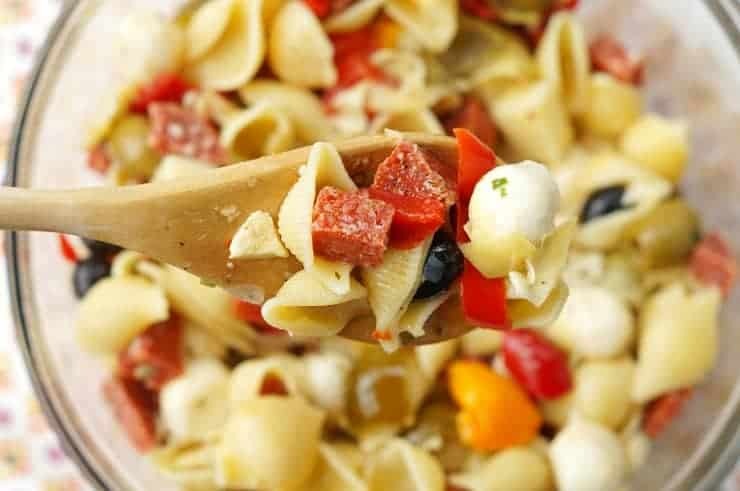 If you are looking for an incredibly easy, but beautiful and delicious pasta salad, then you need this recipe in your life! 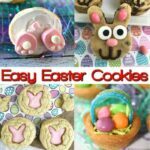 I know that I will be making this basically no-prep recipe all summer long! 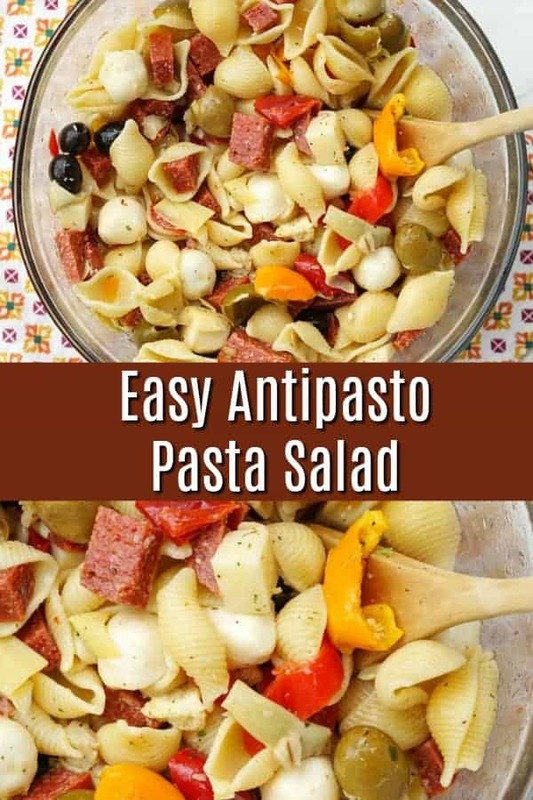 By using a little help from the grocery store, you can quickly whip up this amazing Antipasto Pasta Salad Recipe! 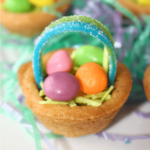 Your guests will be wowed by the colors and the taste! Boil pasta according to instructions for al dente. Drain and let cook for 5-10 minutes. Before serving, stir again really well and add more seasoning if desired. Serve cold or at room temperature. If you do not get a lot of the marinade when purchasing the antipasto mix, substitute an oil and vinegar dressing or any Italian dressing that you like. 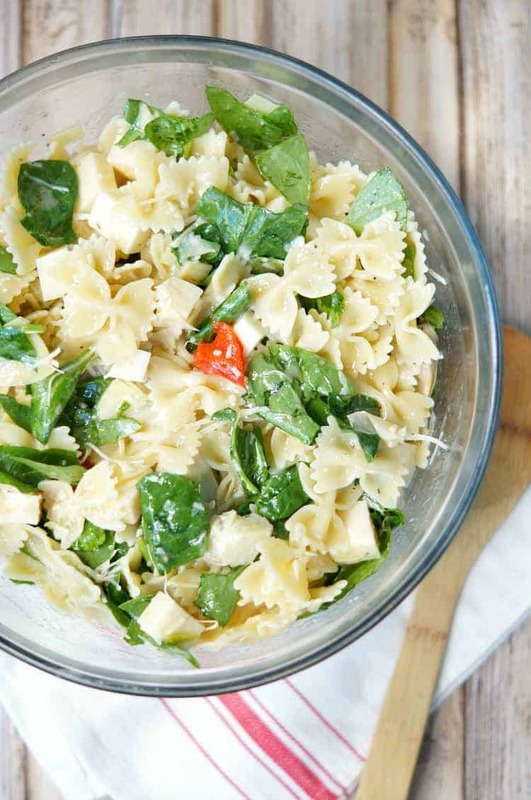 Looking for more delicious pasta salad recipes?